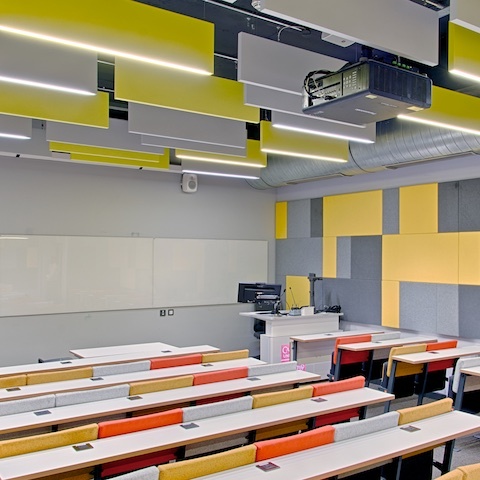 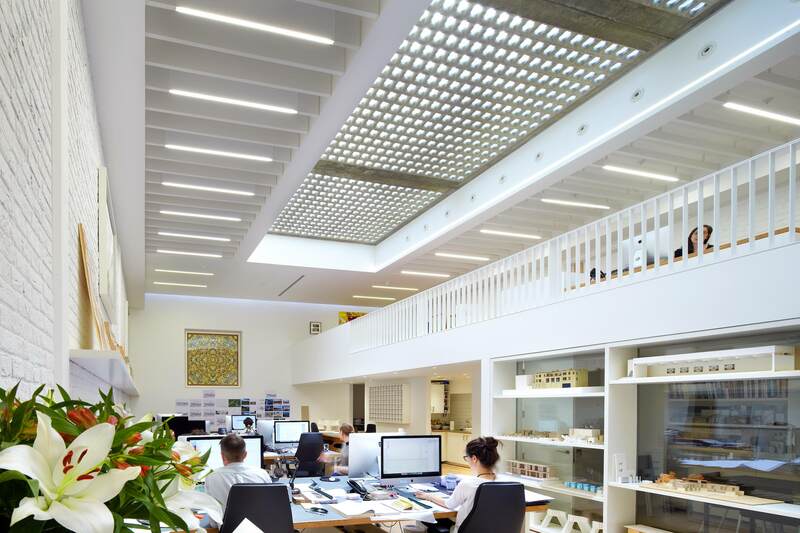 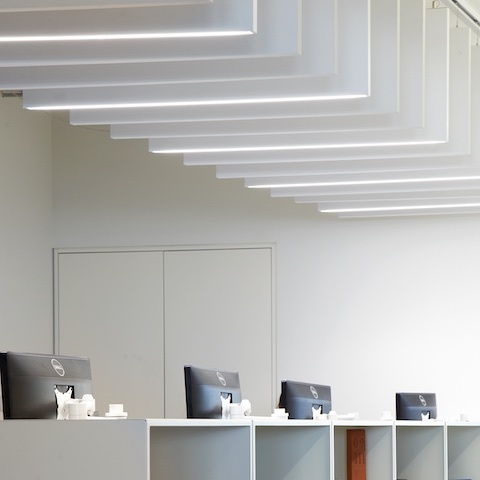 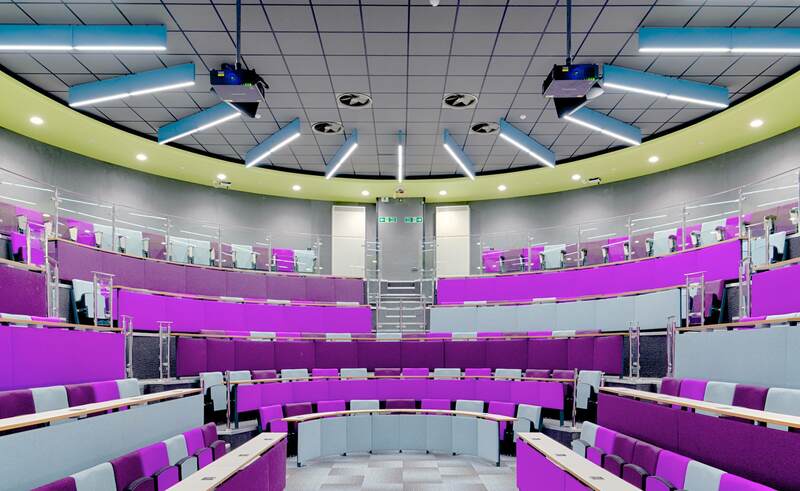 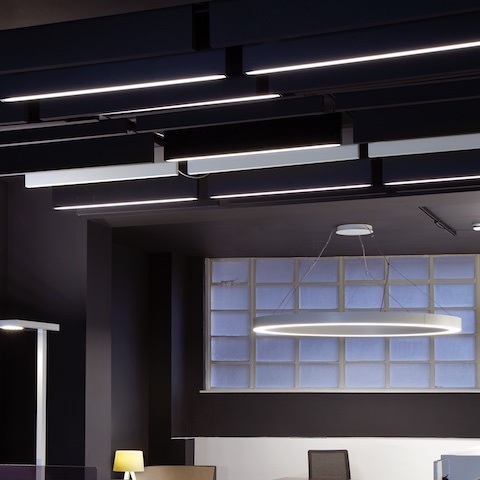 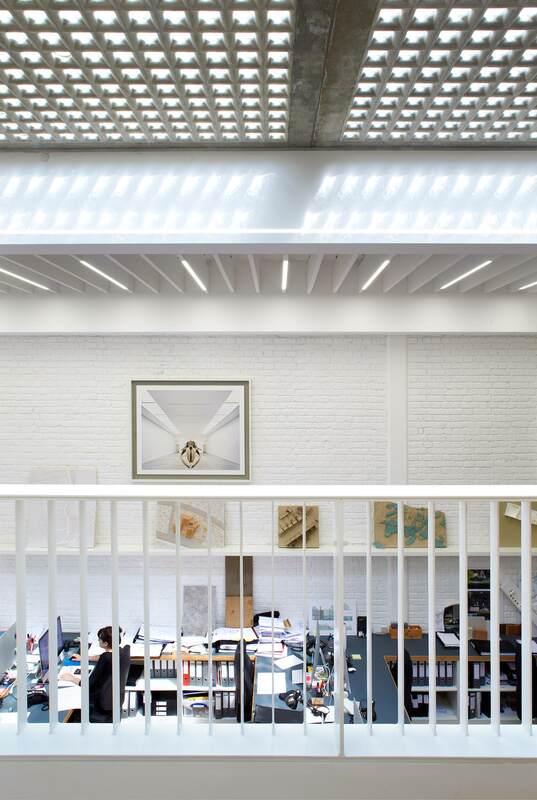 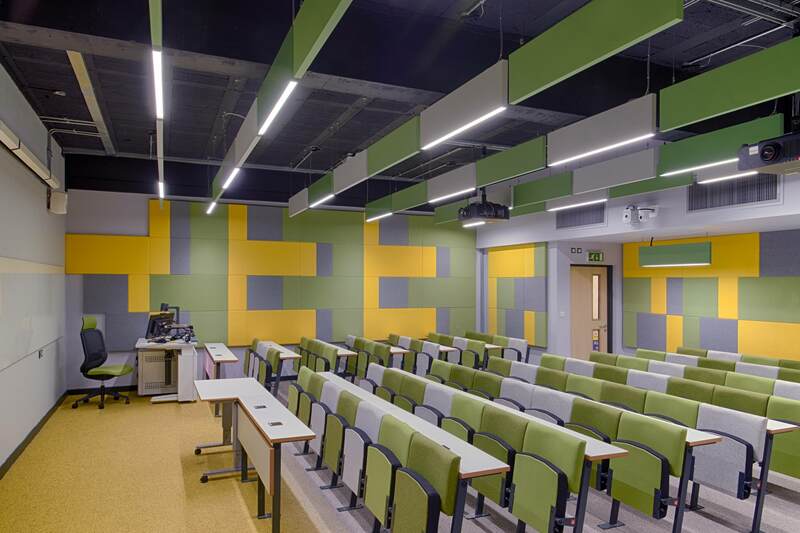 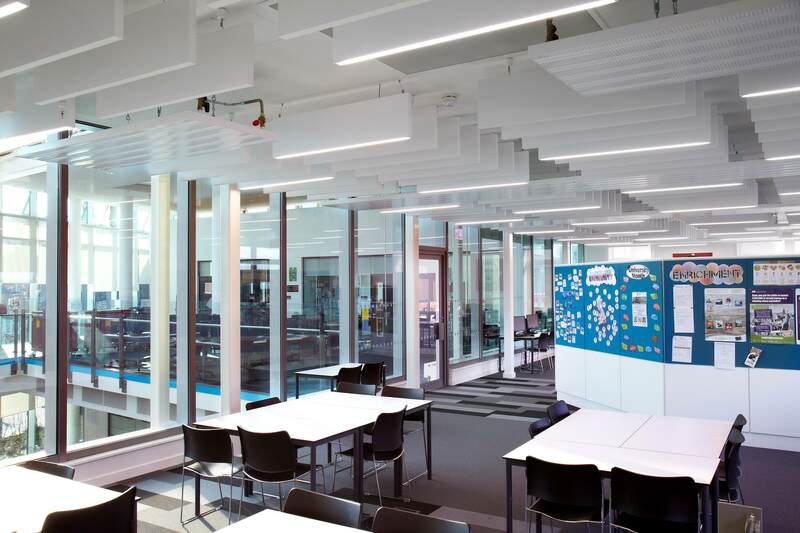 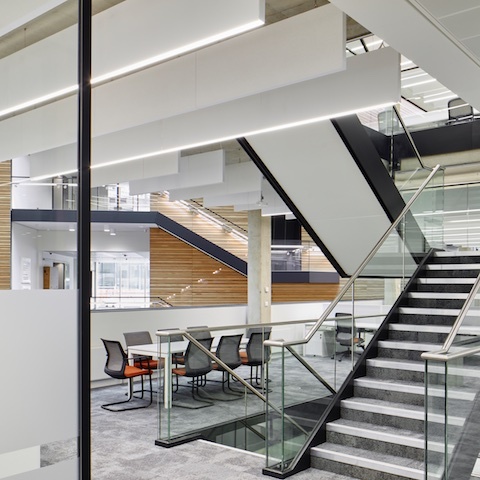 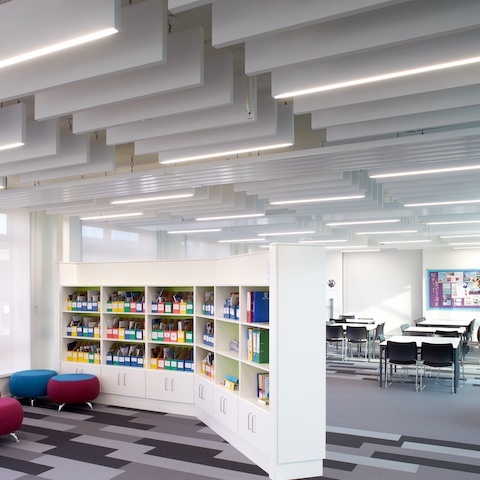 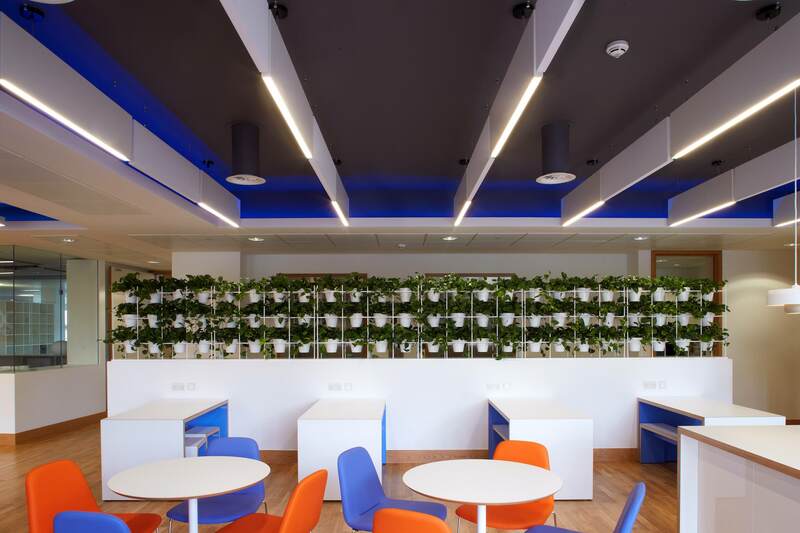 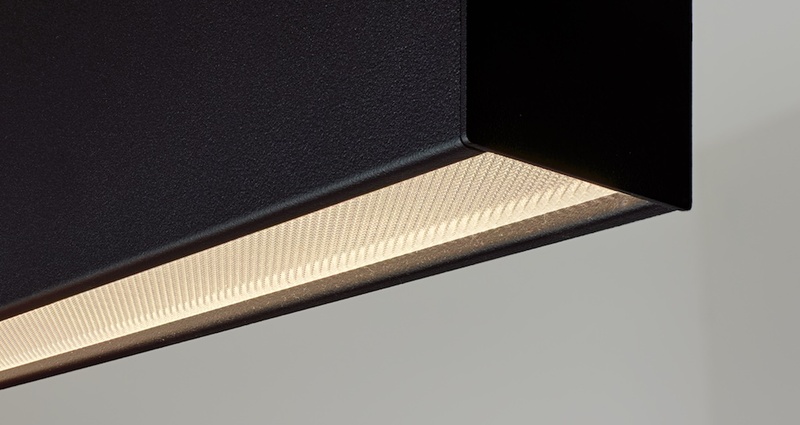 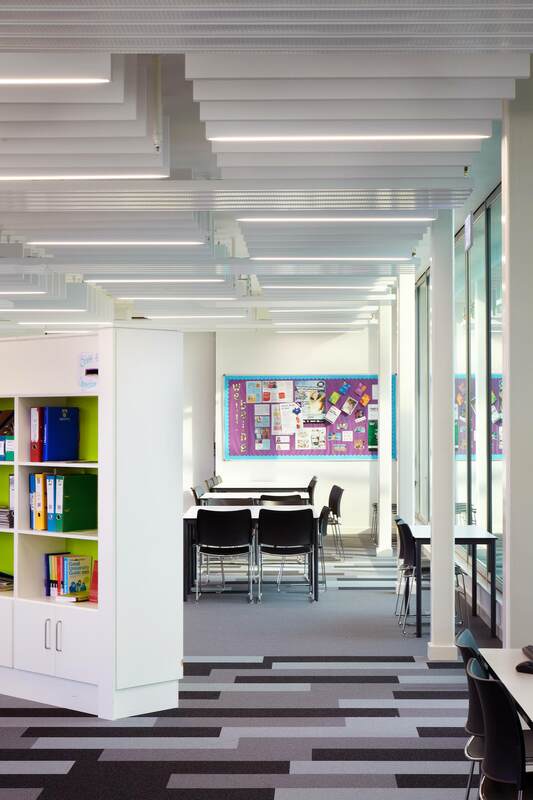 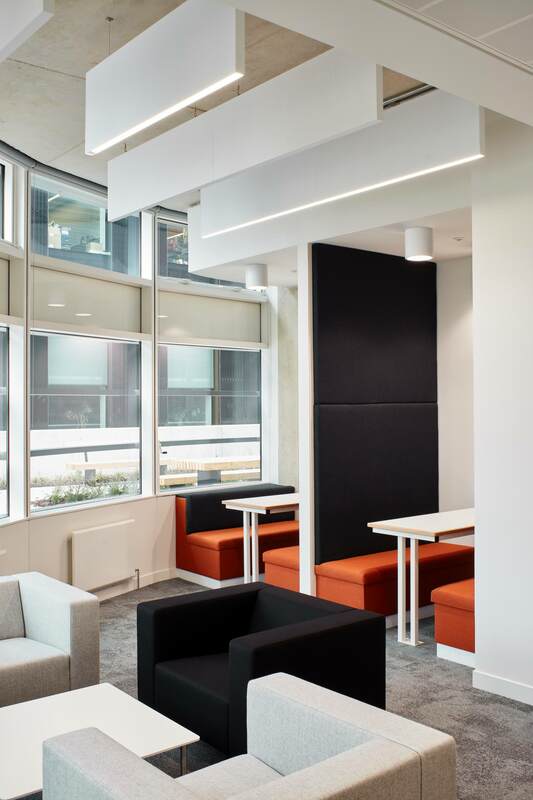 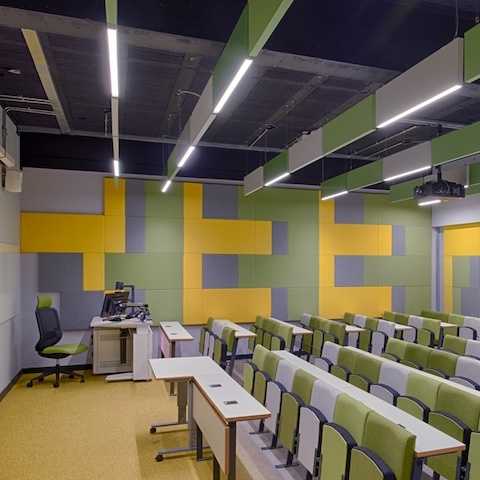 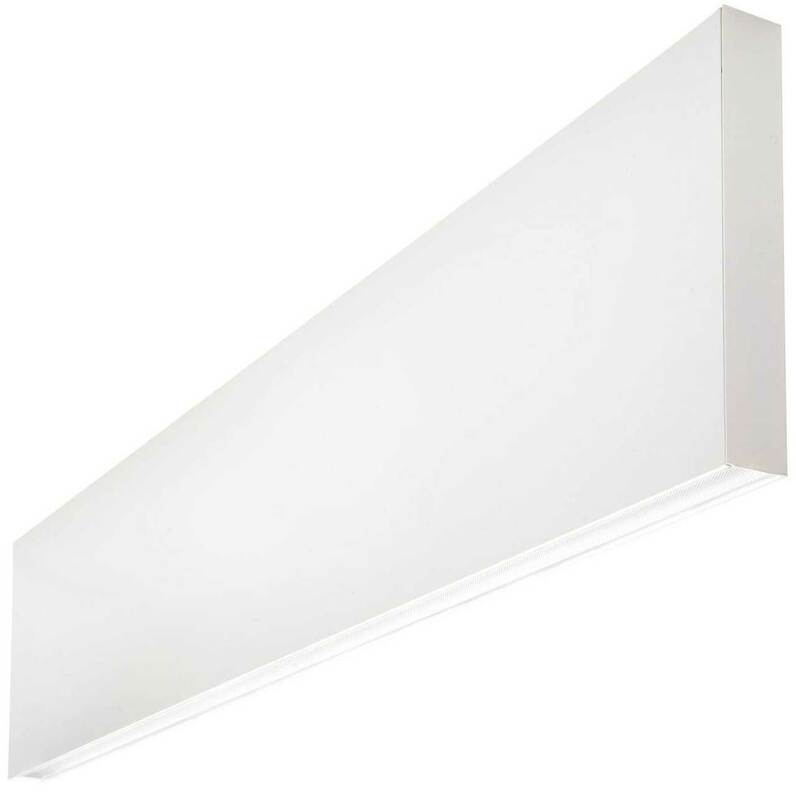 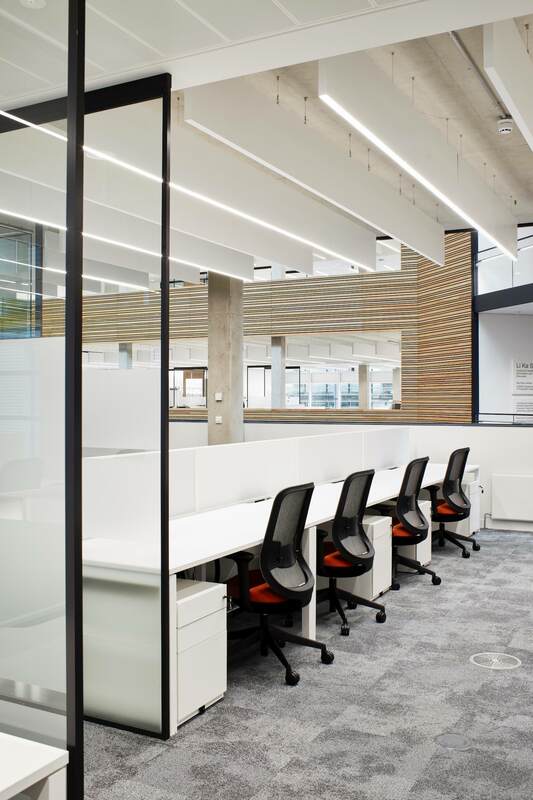 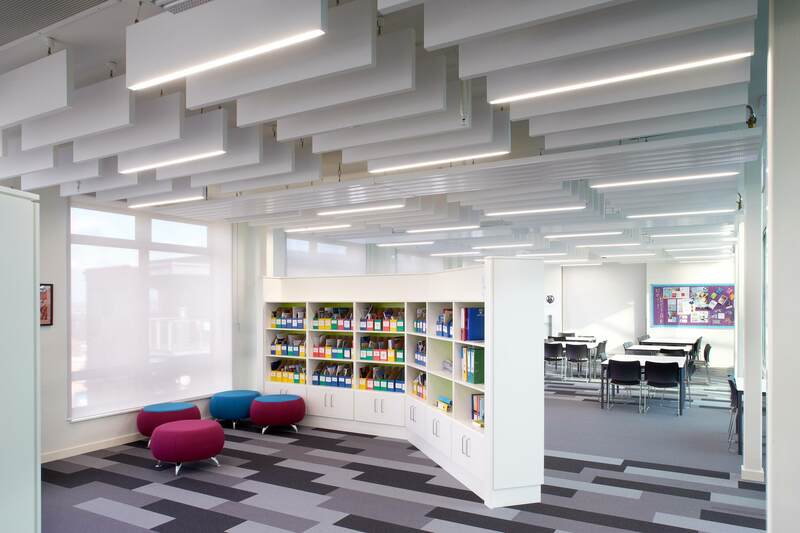 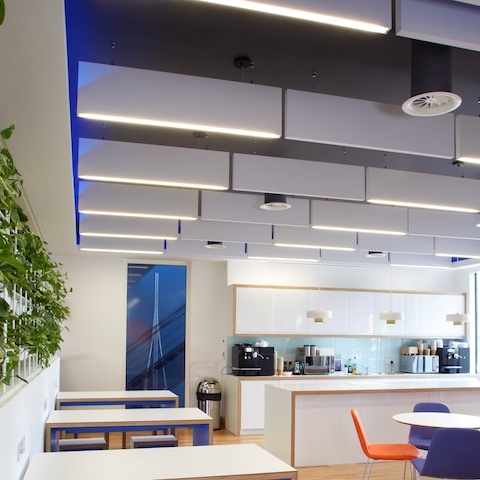 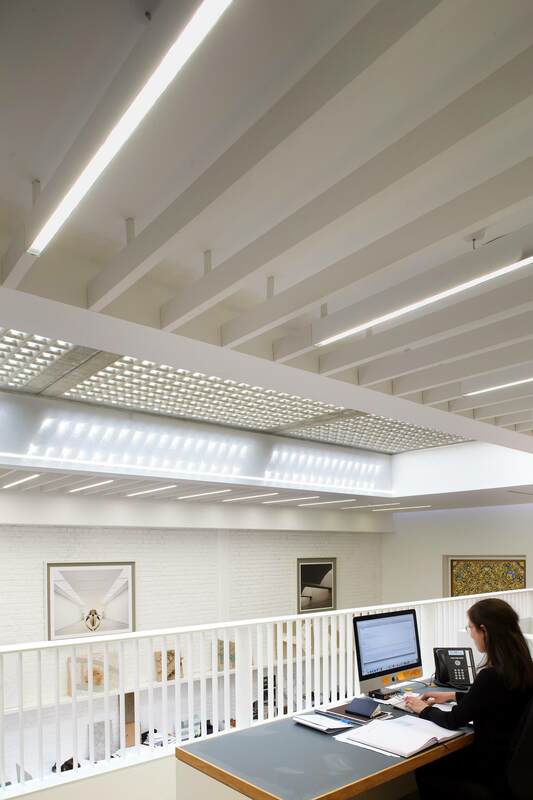 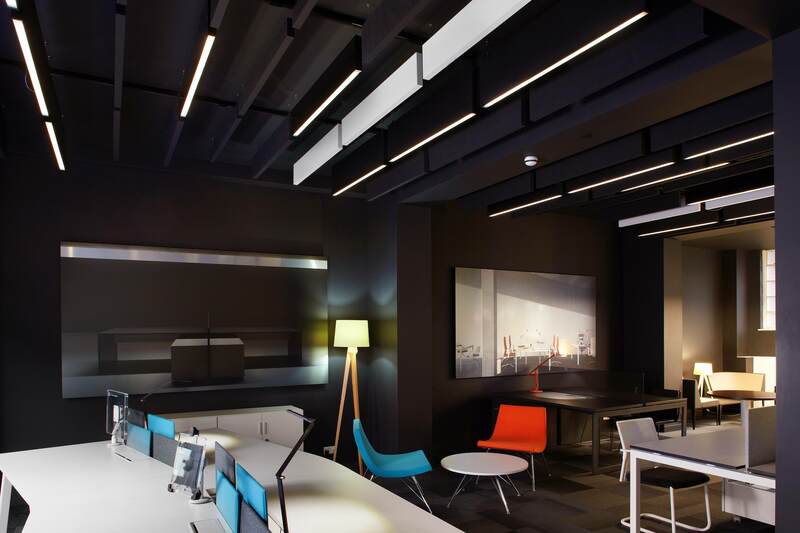 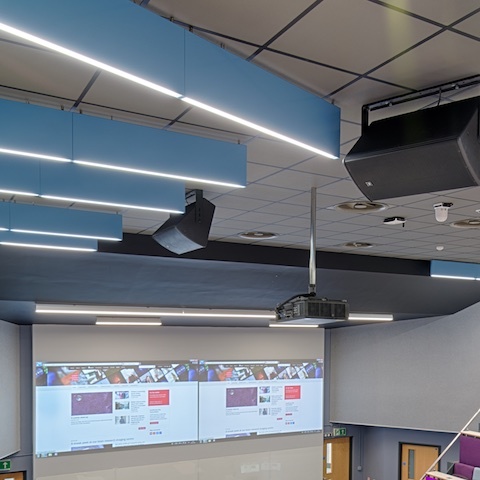 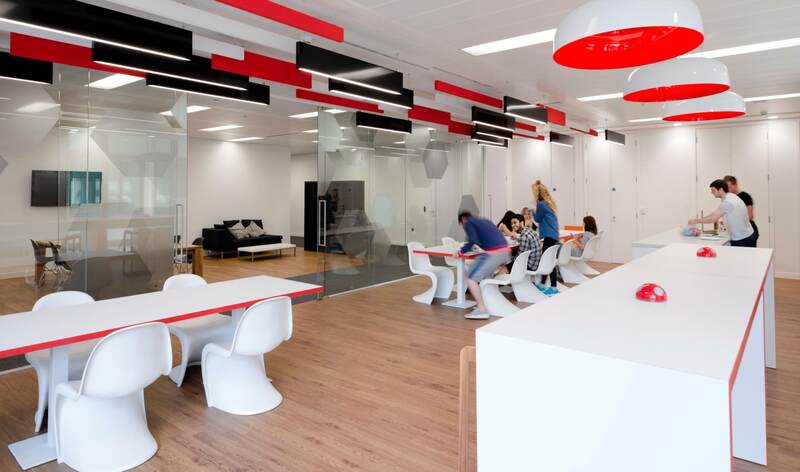 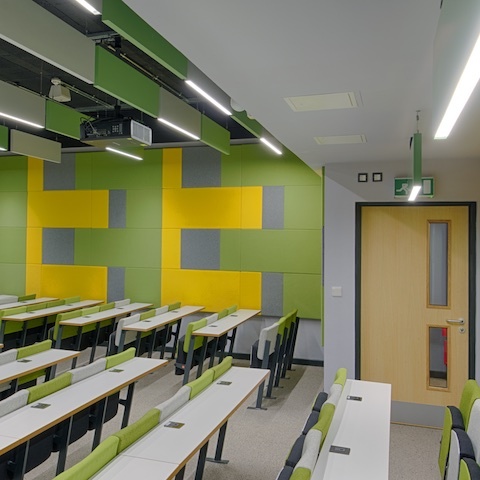 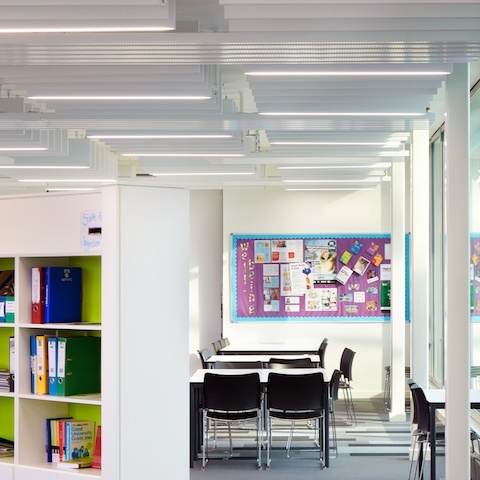 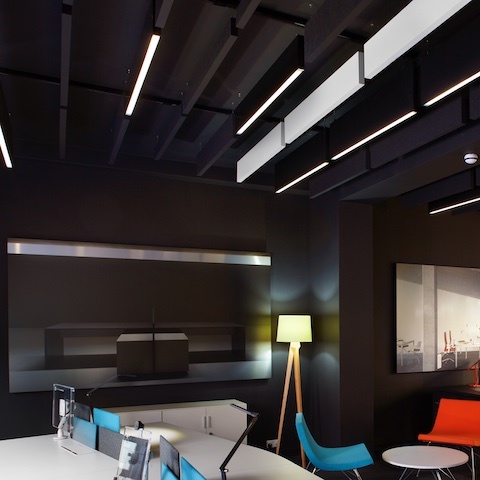 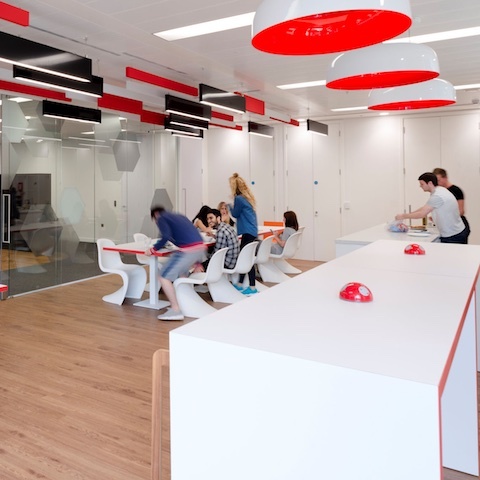 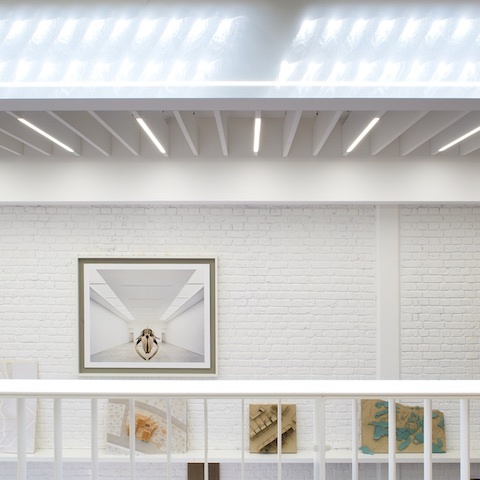 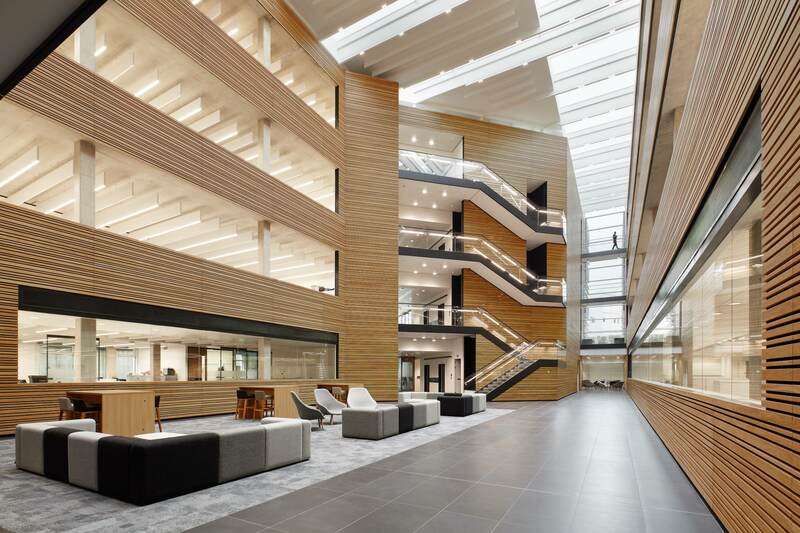 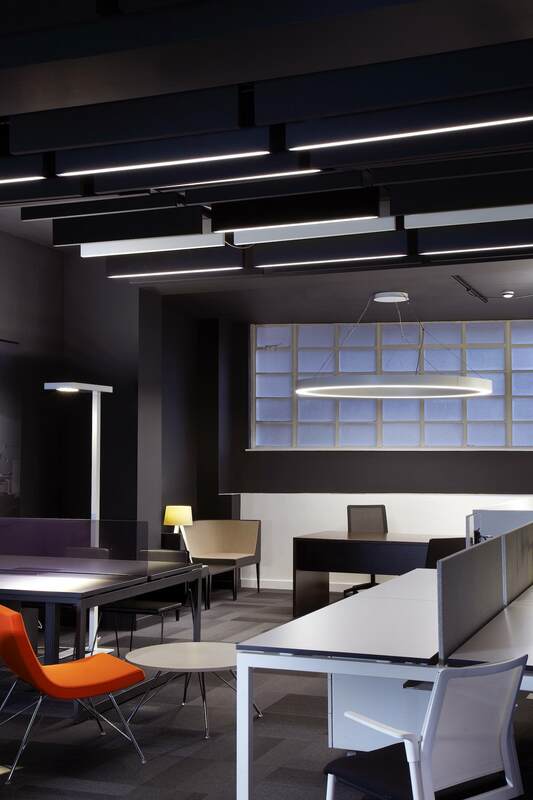 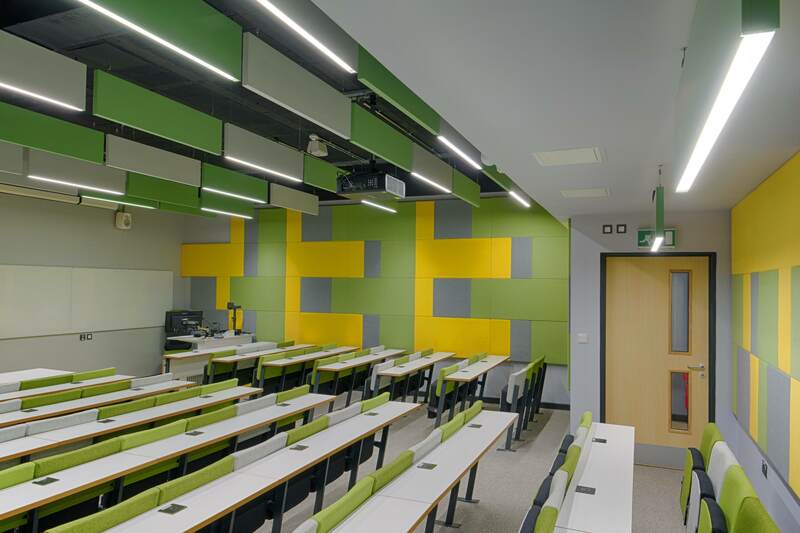 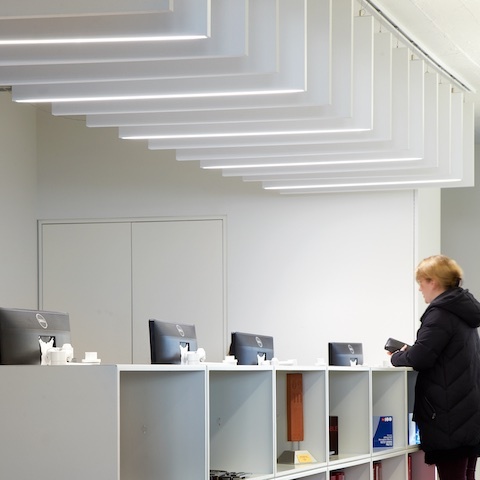 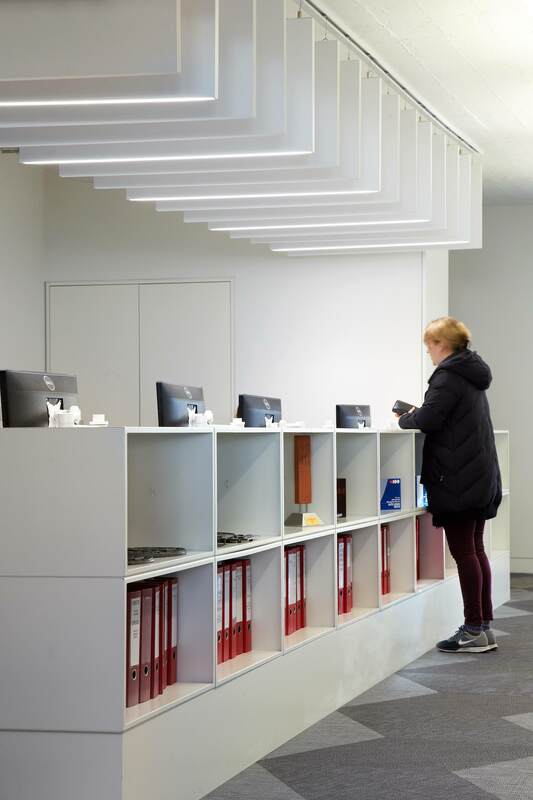 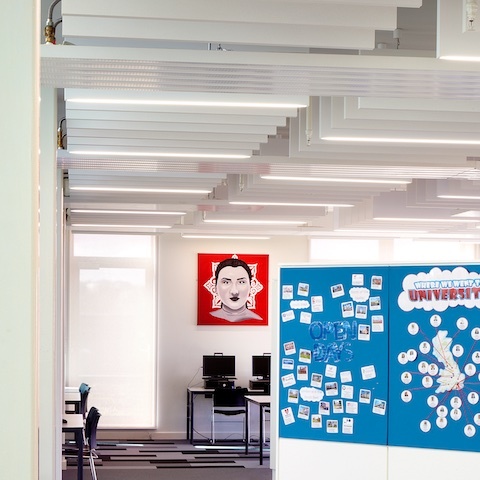 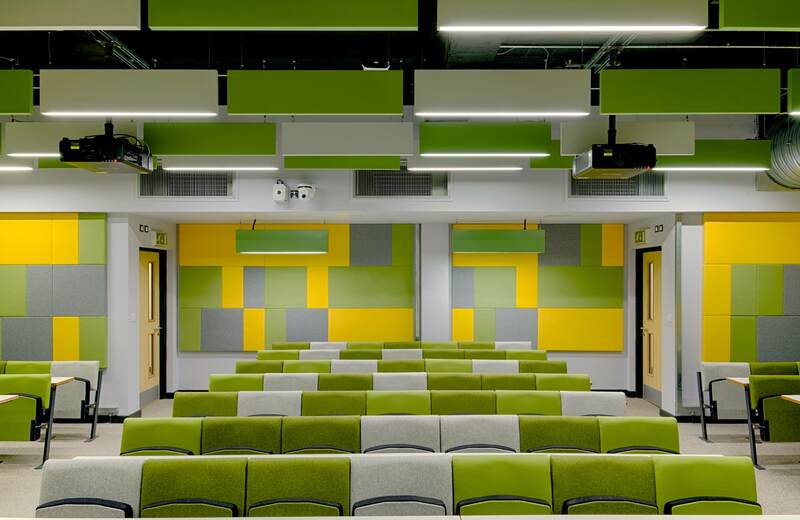 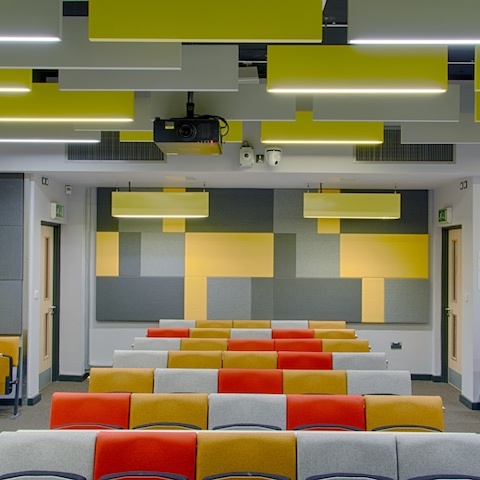 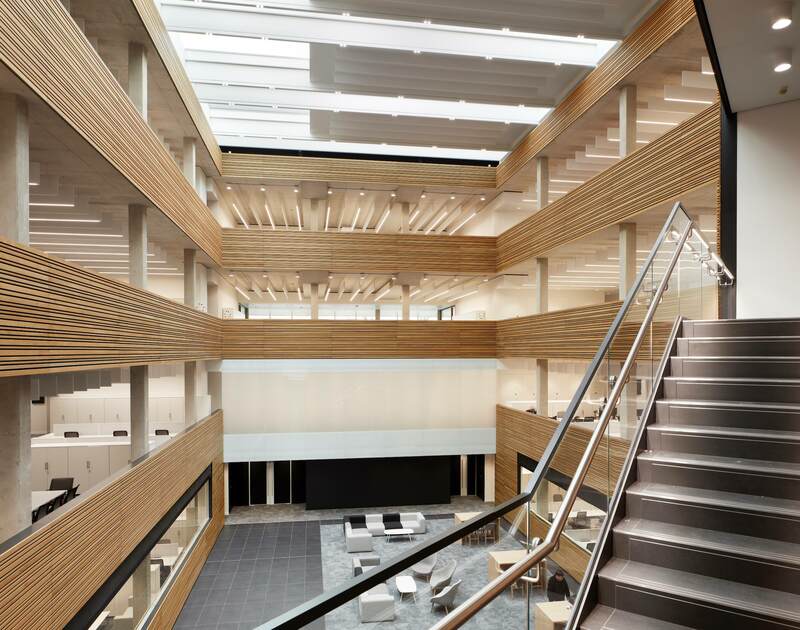 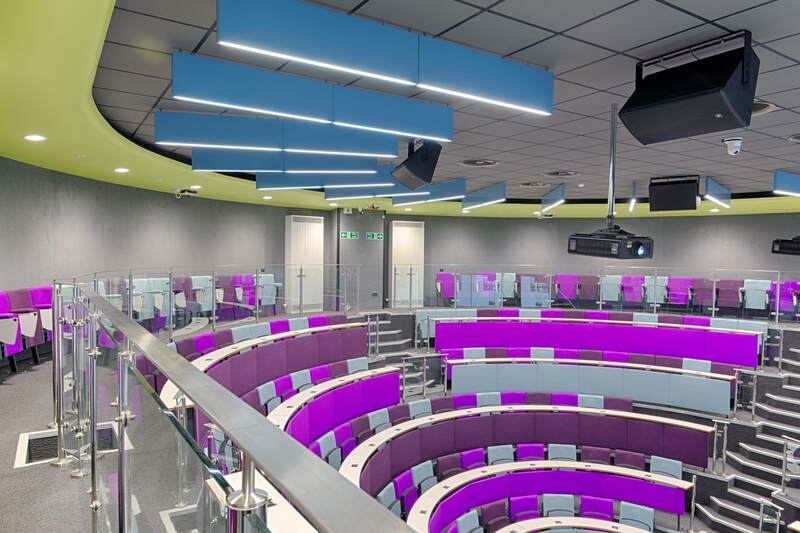 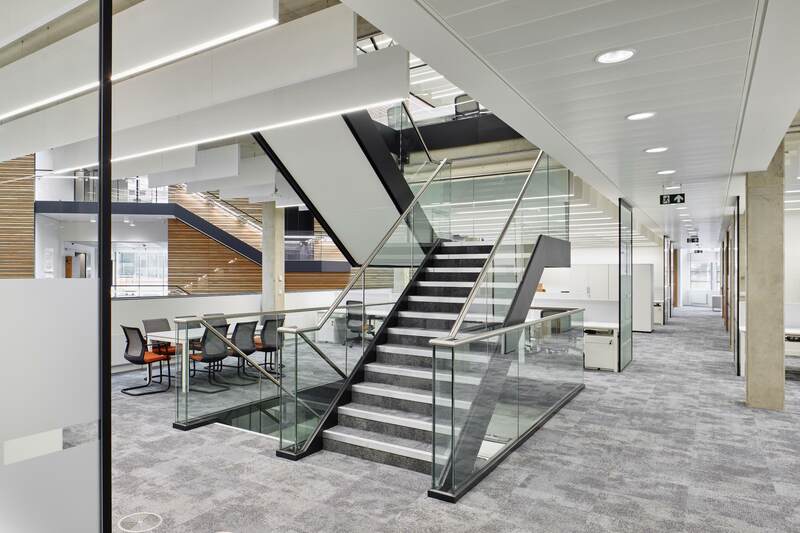 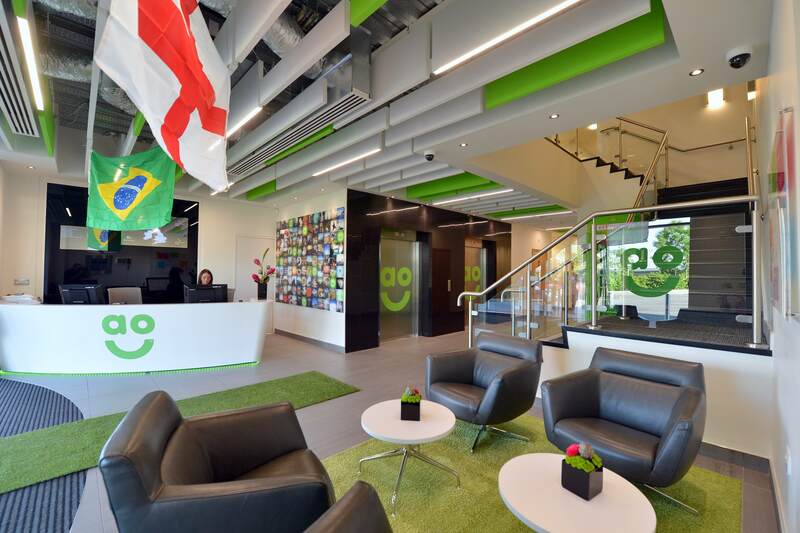 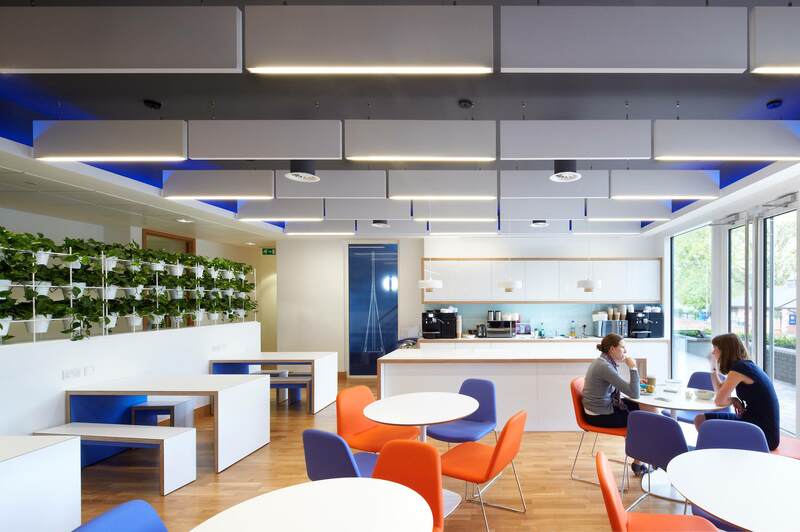 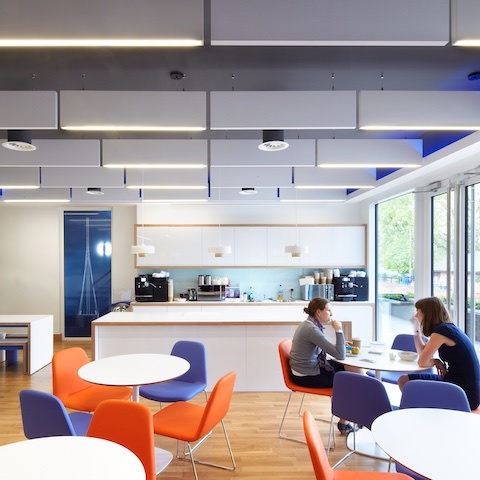 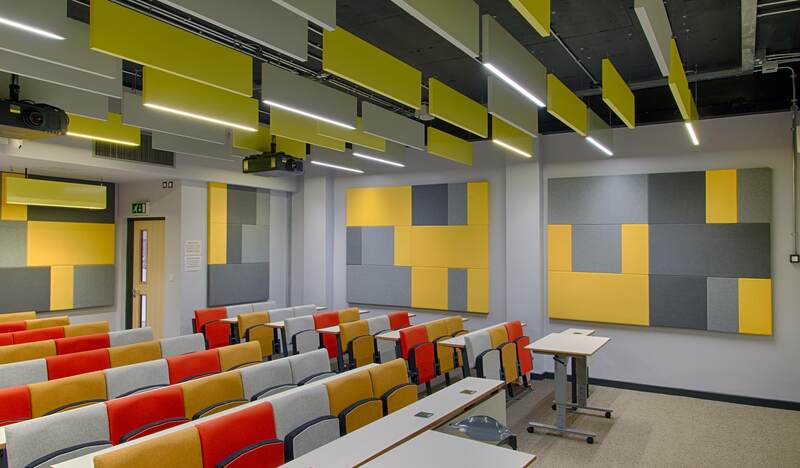 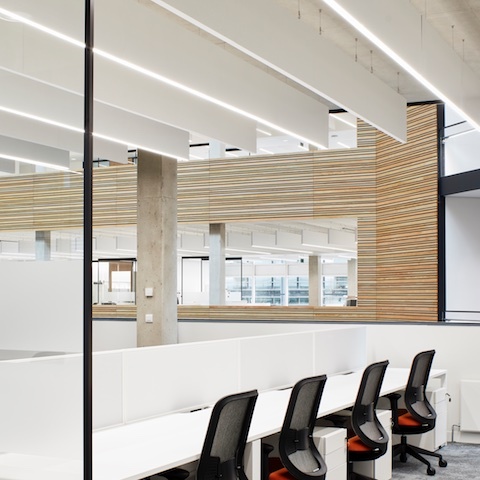 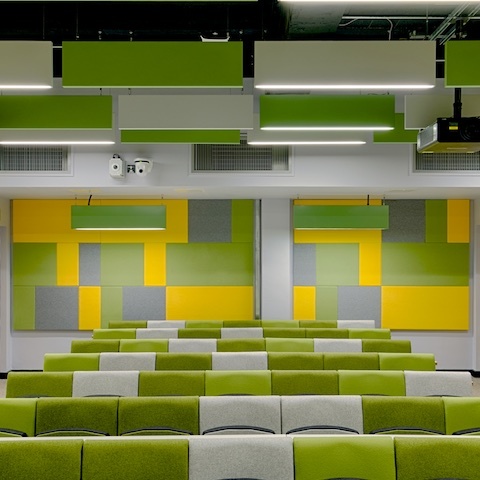 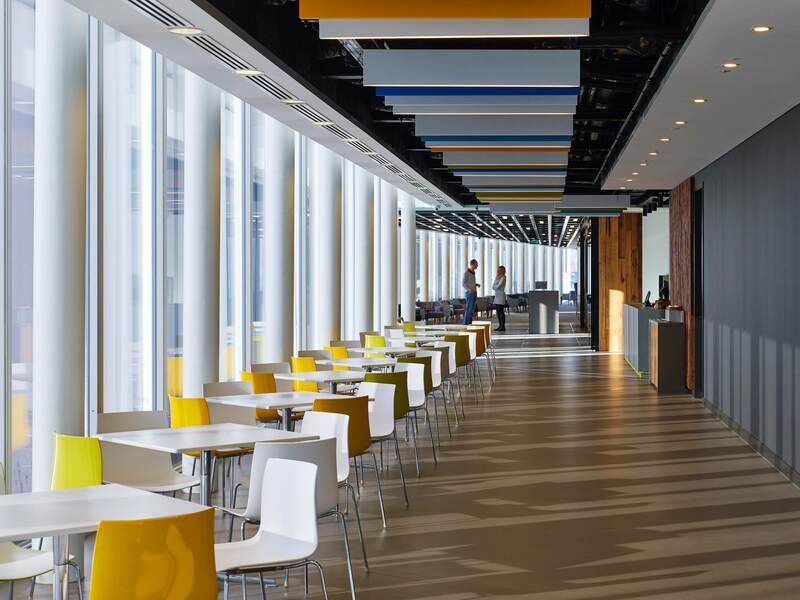 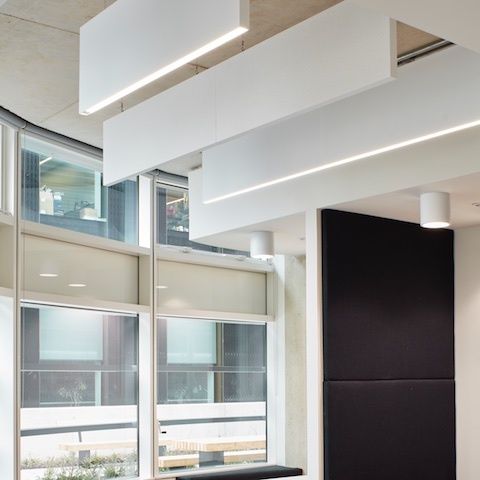 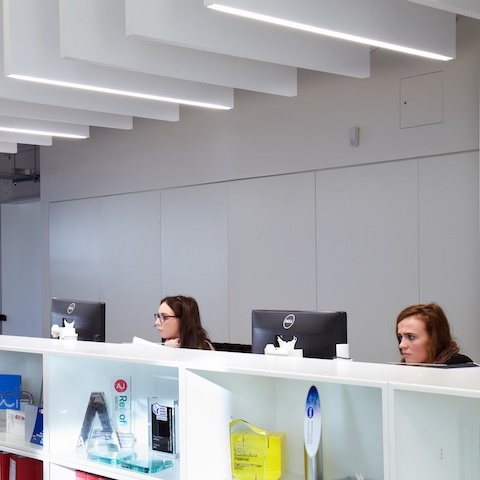 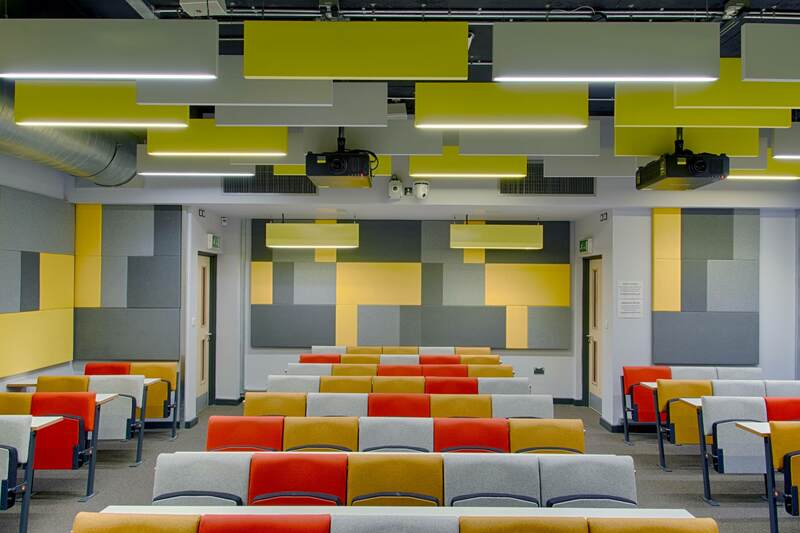 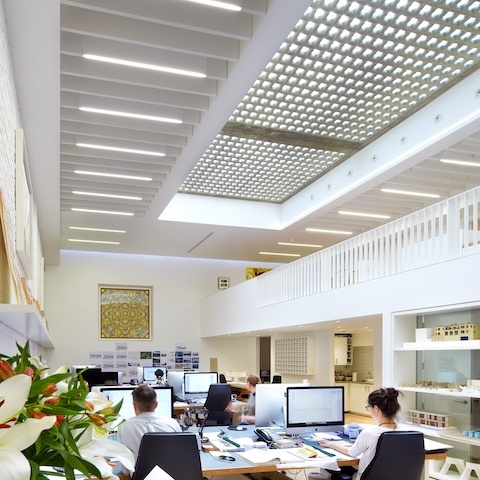 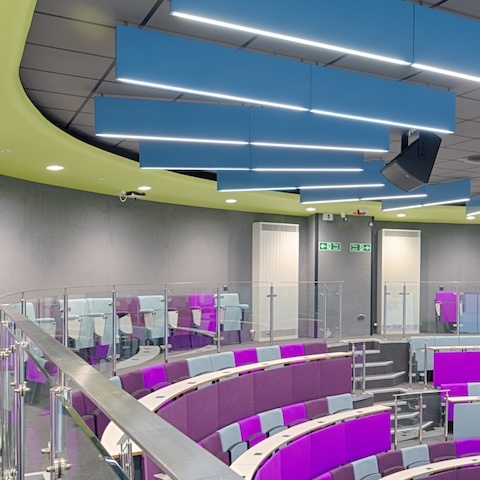 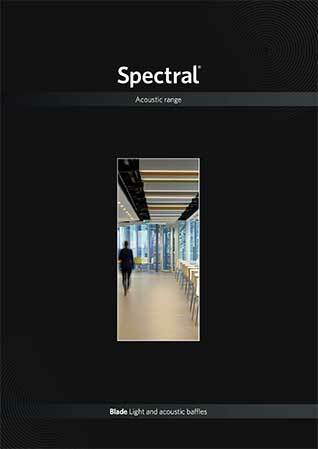 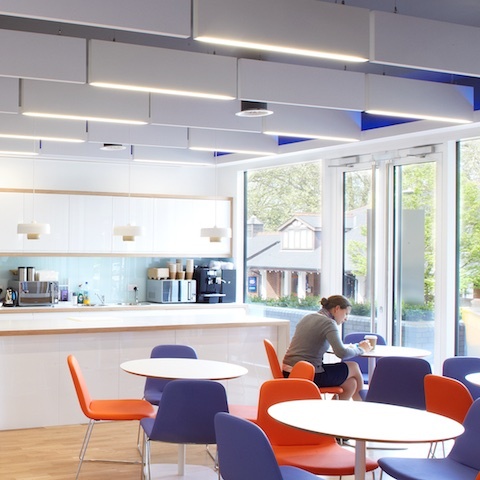 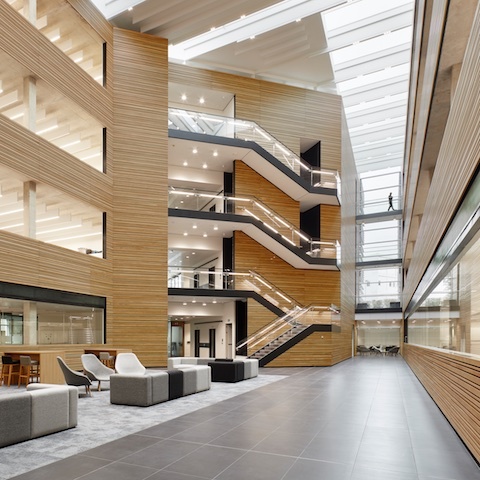 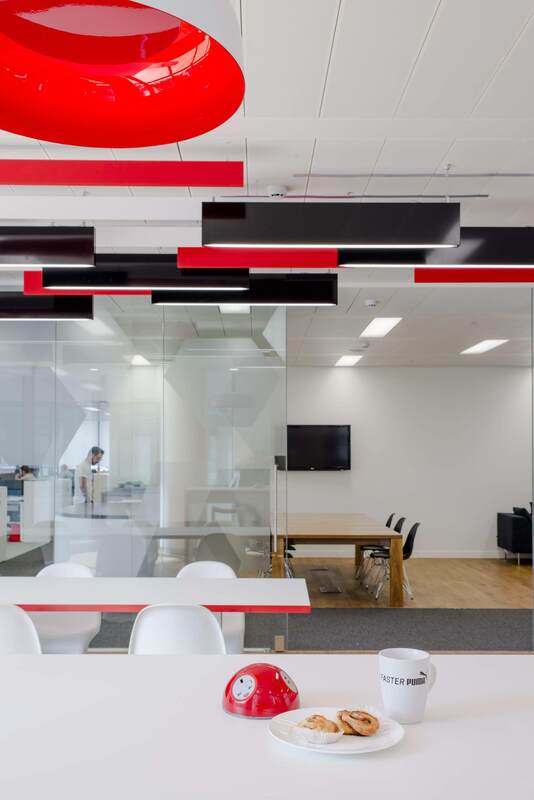 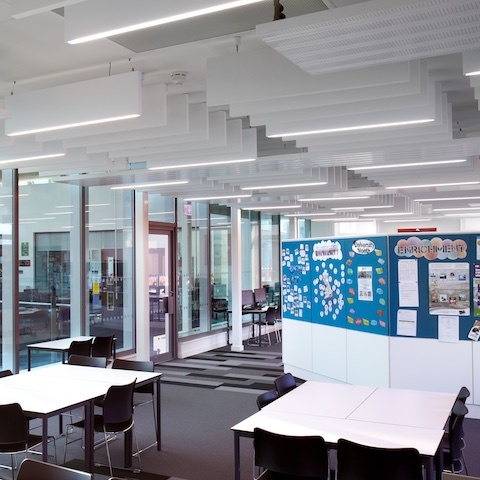 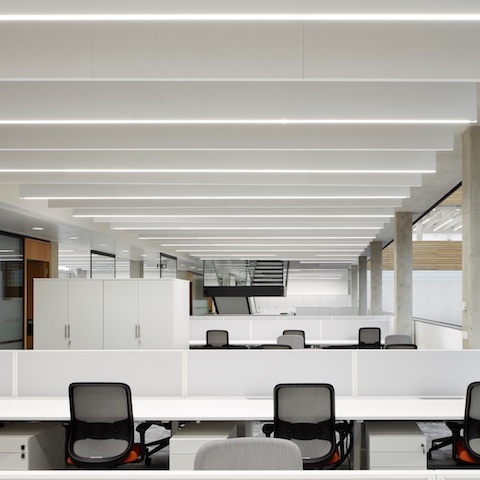 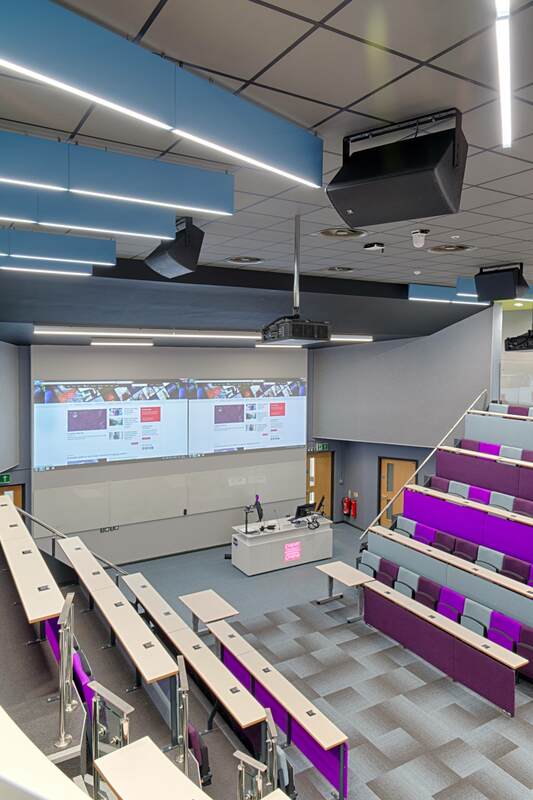 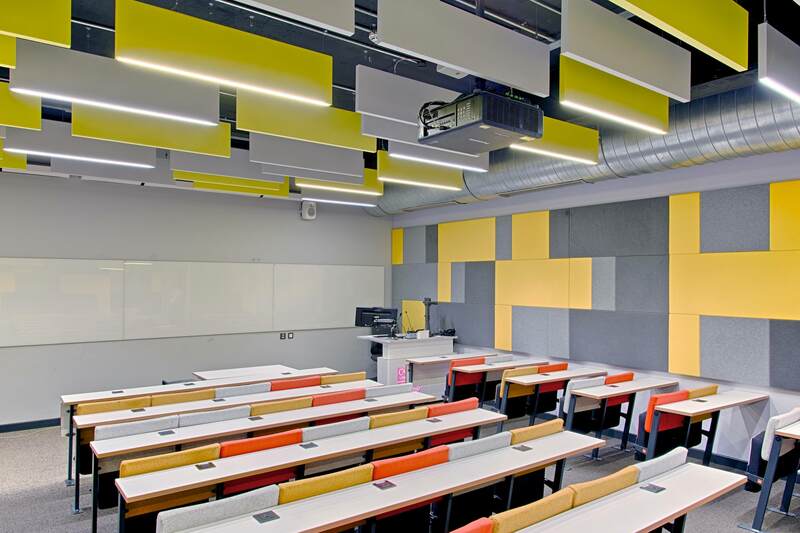 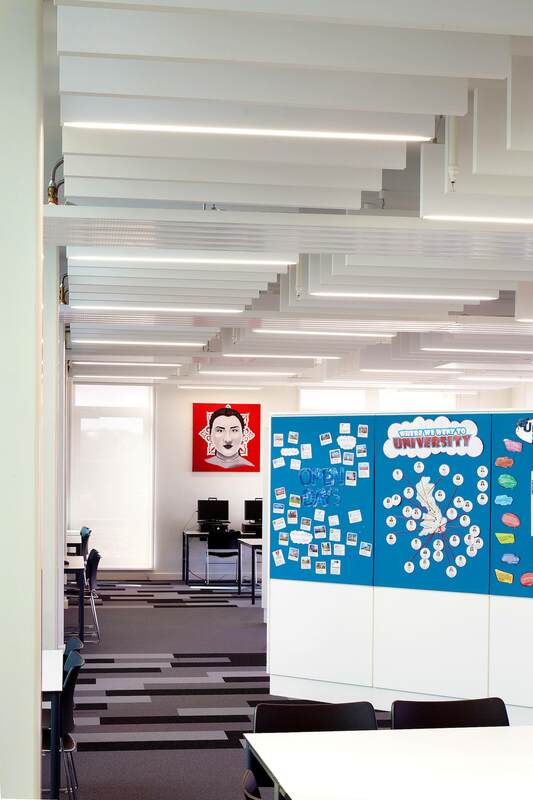 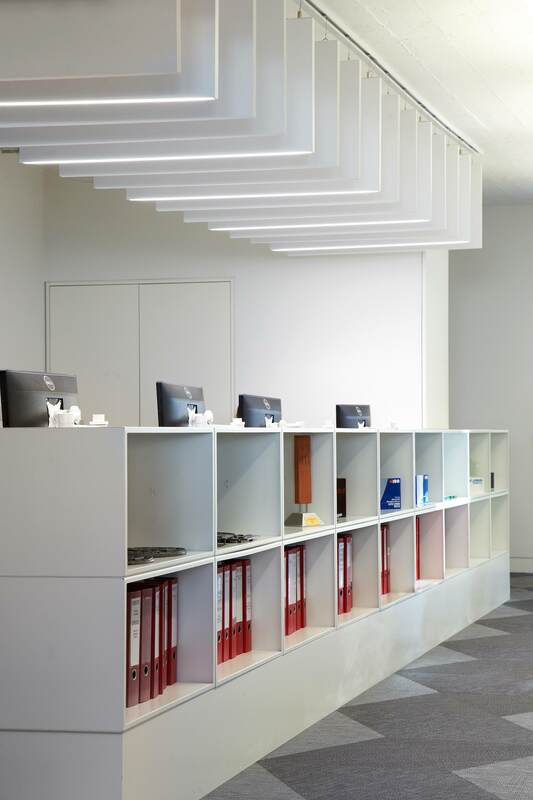 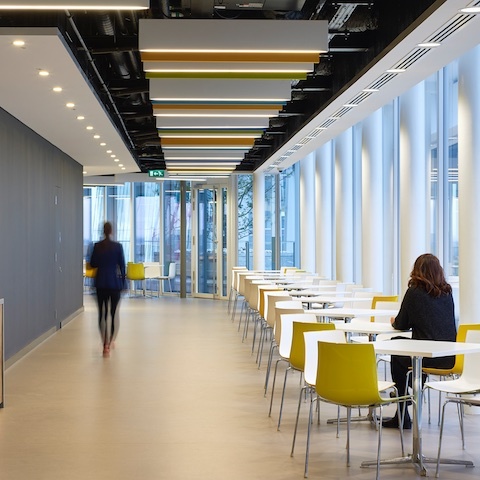 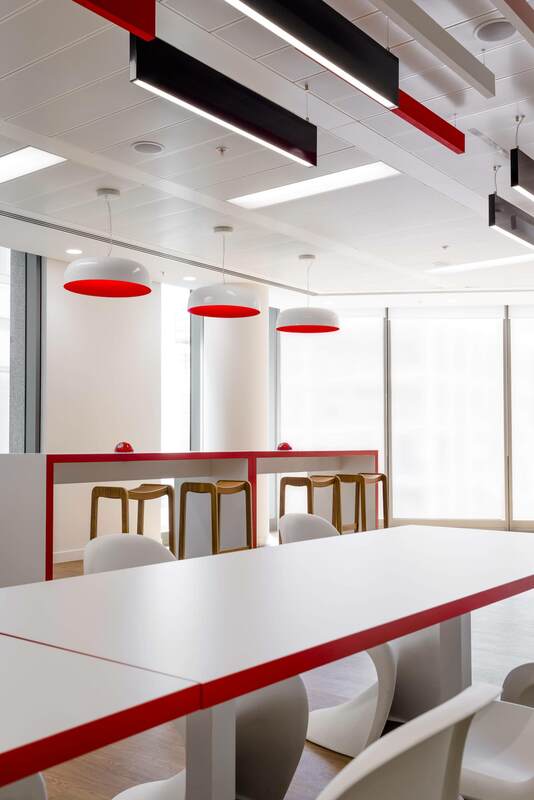 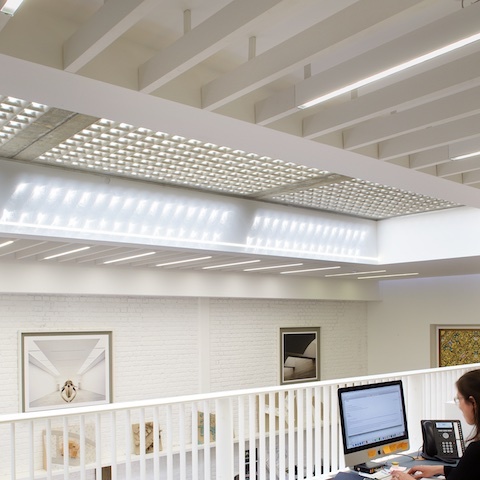 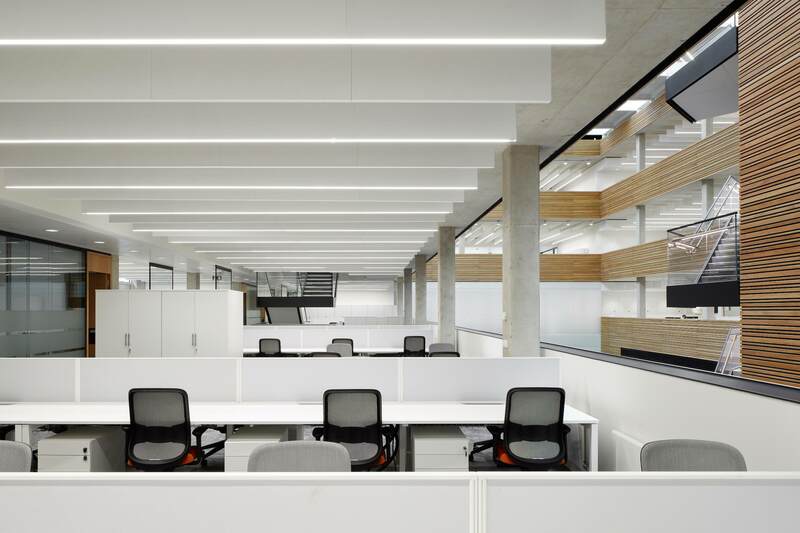 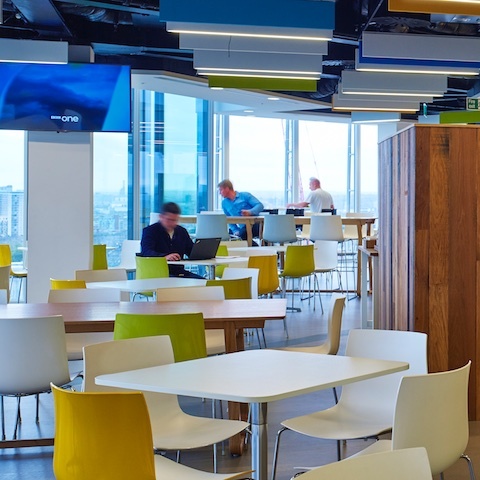 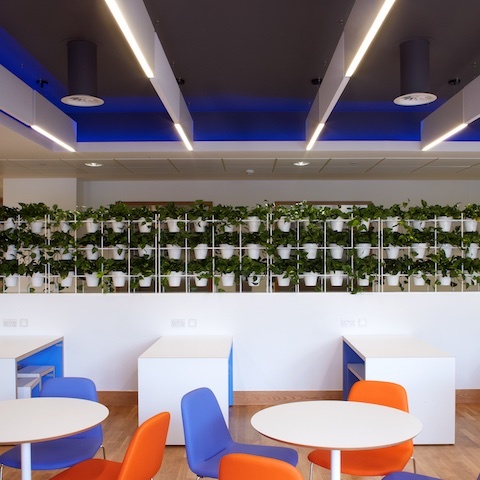 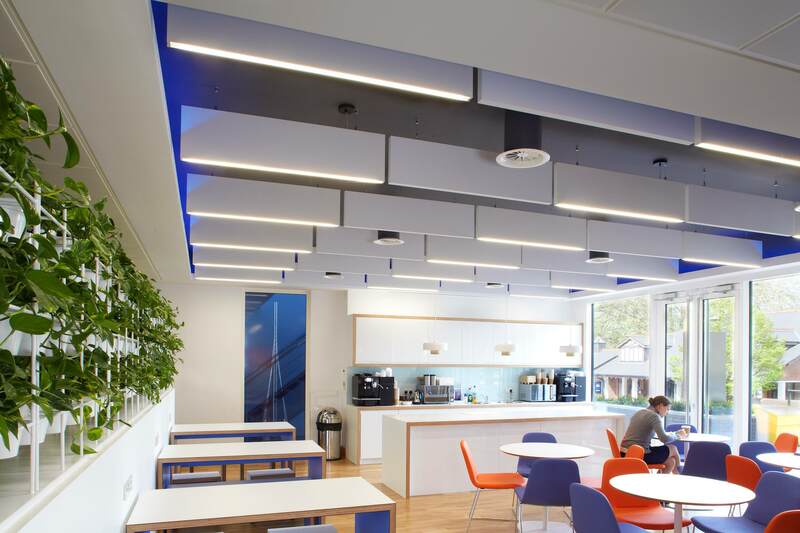 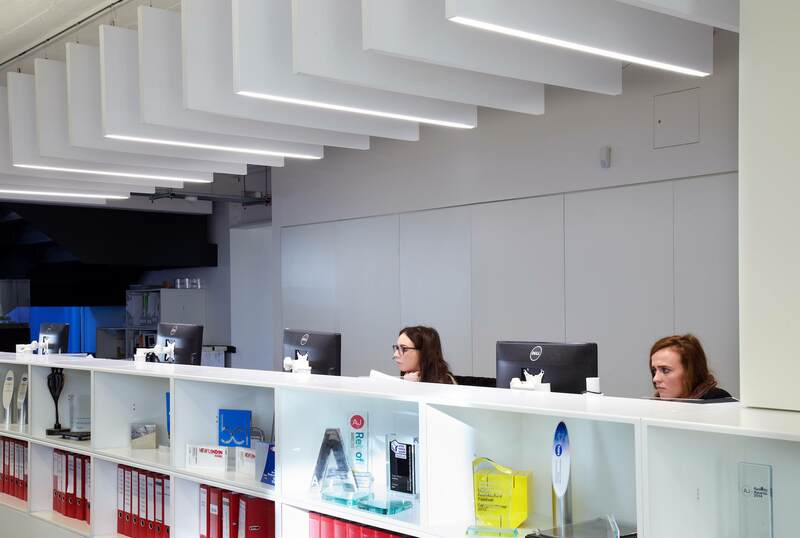 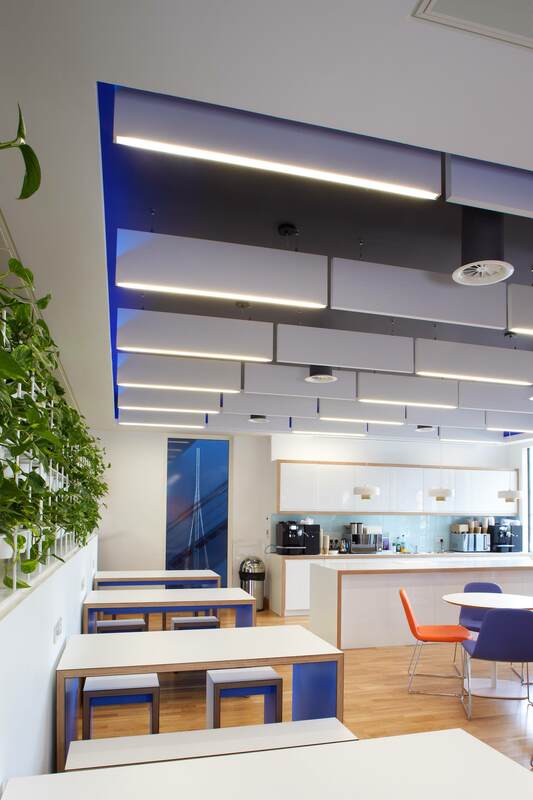 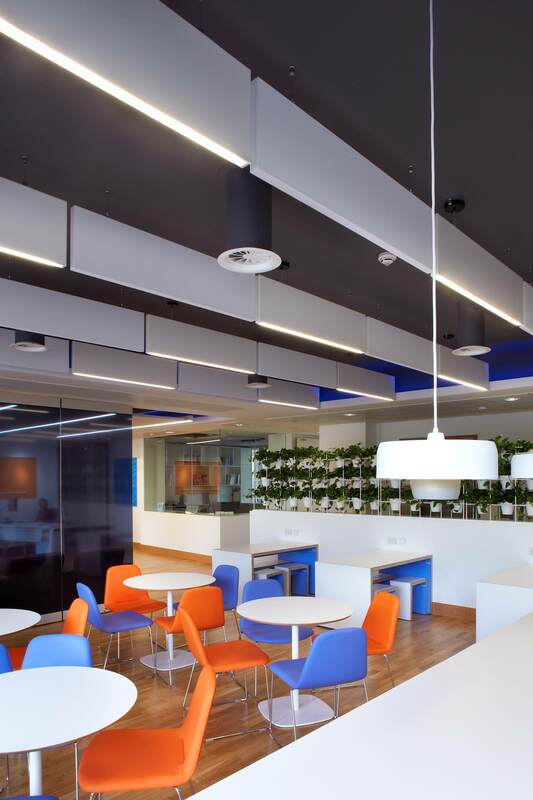 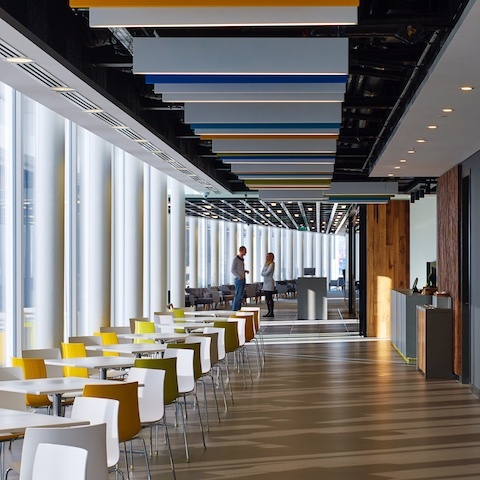 The acoustic BLADE range from Spectral is a system combining luminaires and sound absorbing acoustic panels for the modern office or educational buildings with concrete interiors. 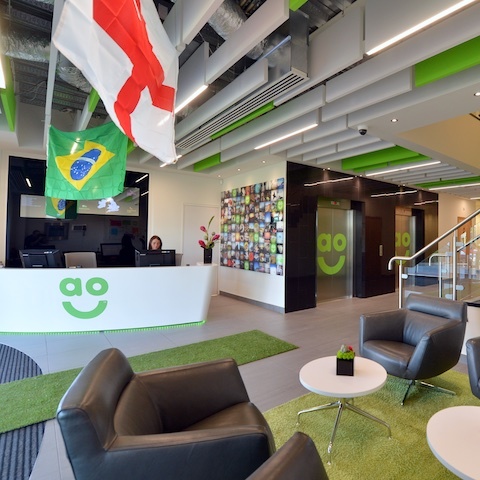 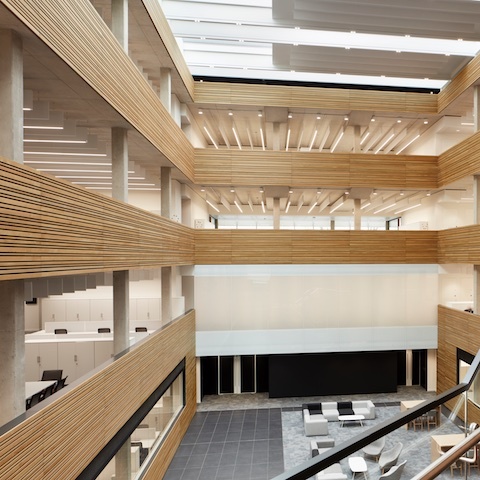 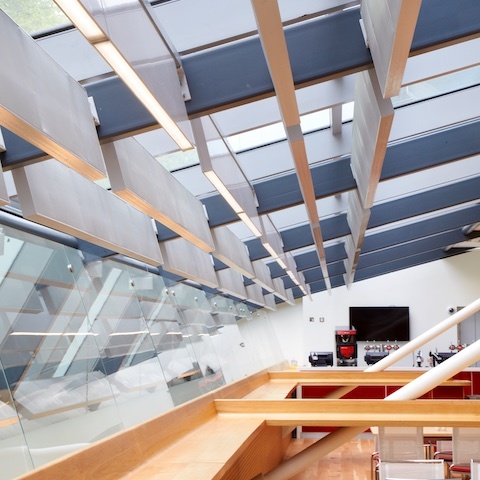 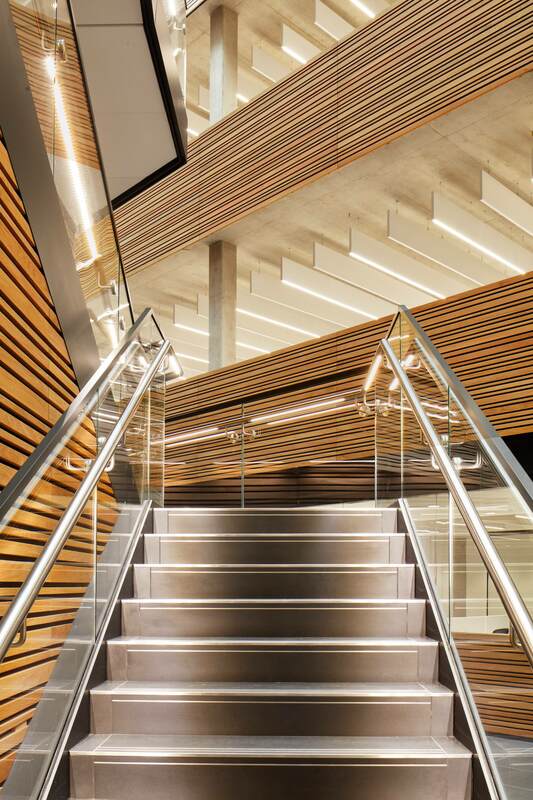 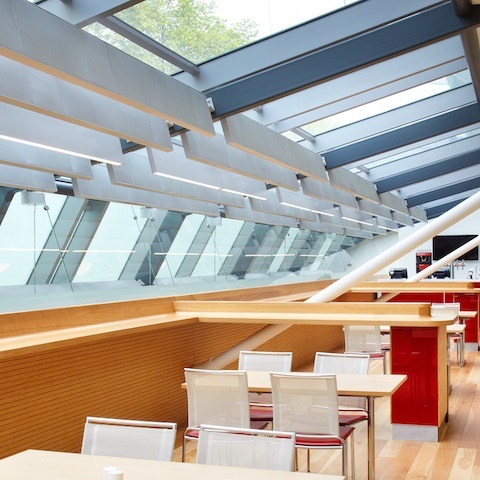 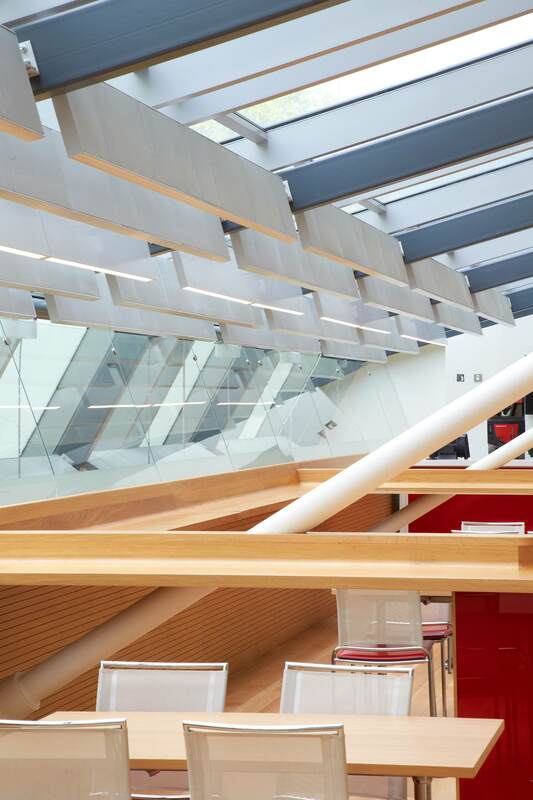 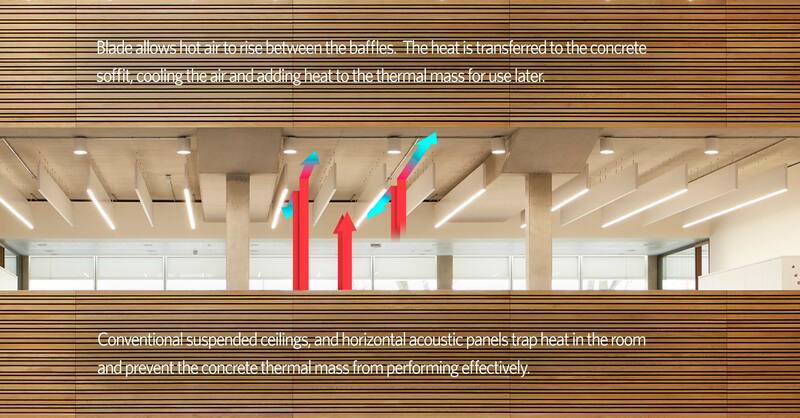 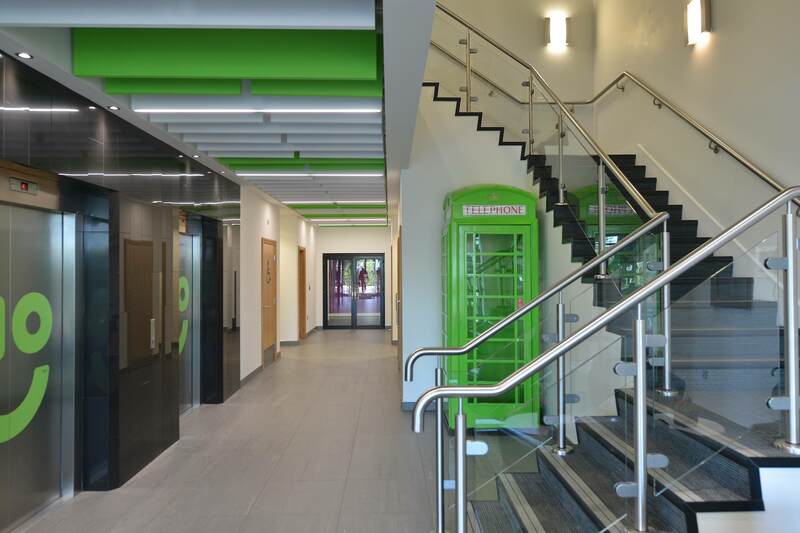 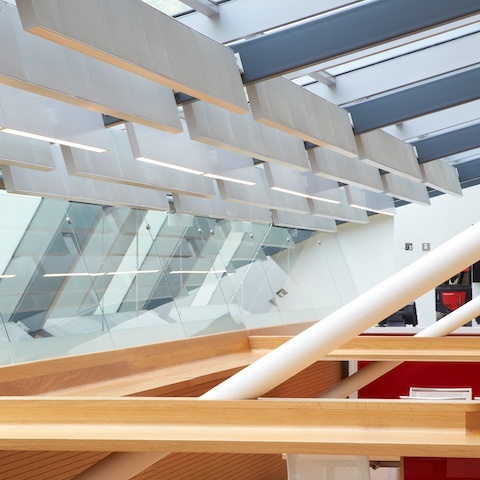 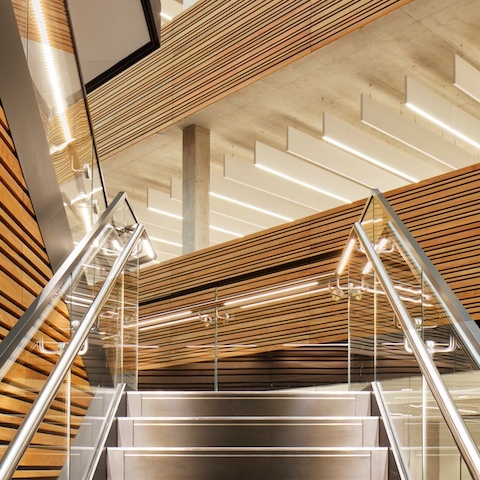 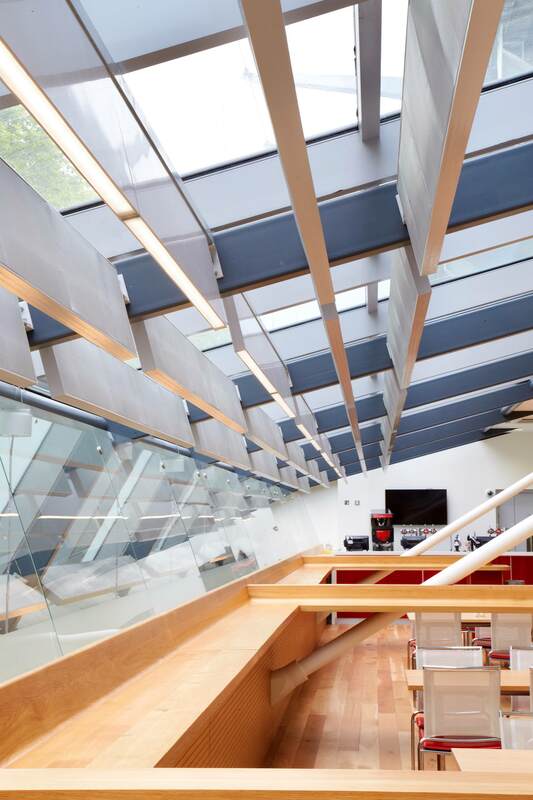 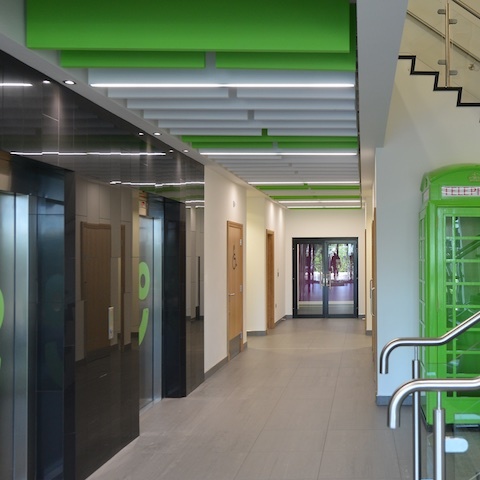 The suspended vertical baffles provide particularly effective acoustic management, while allowing heat to circulate freely into the buildings concrete structure. 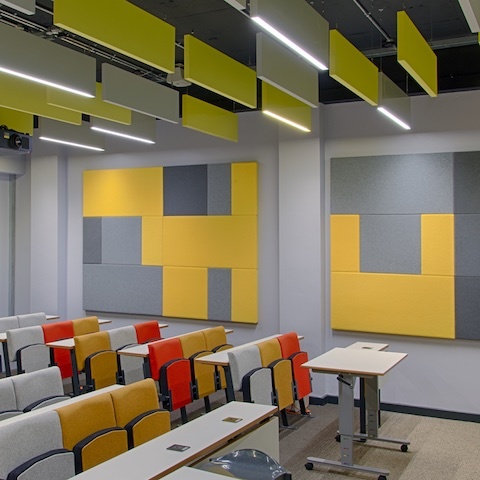 Blade matches precisely the look and feel of the acoustic baffles for a seamless installation. 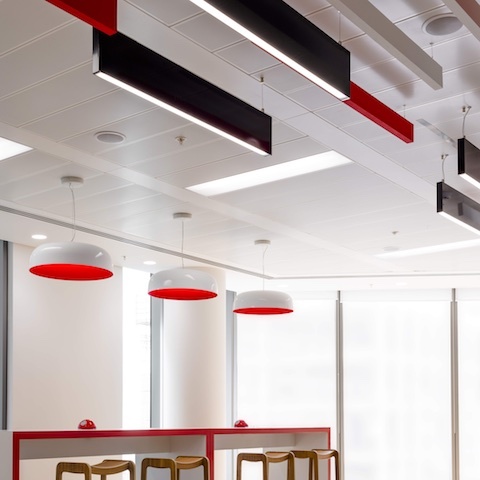 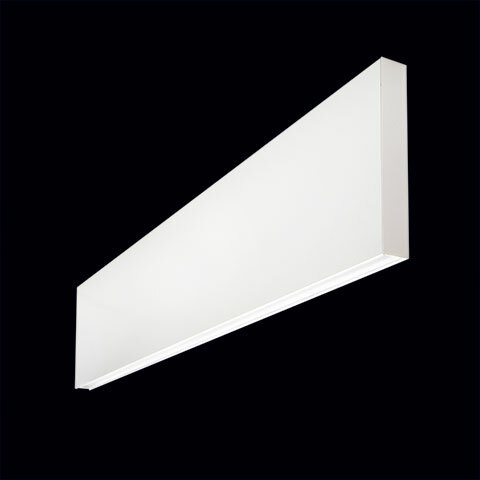 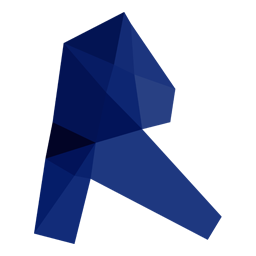 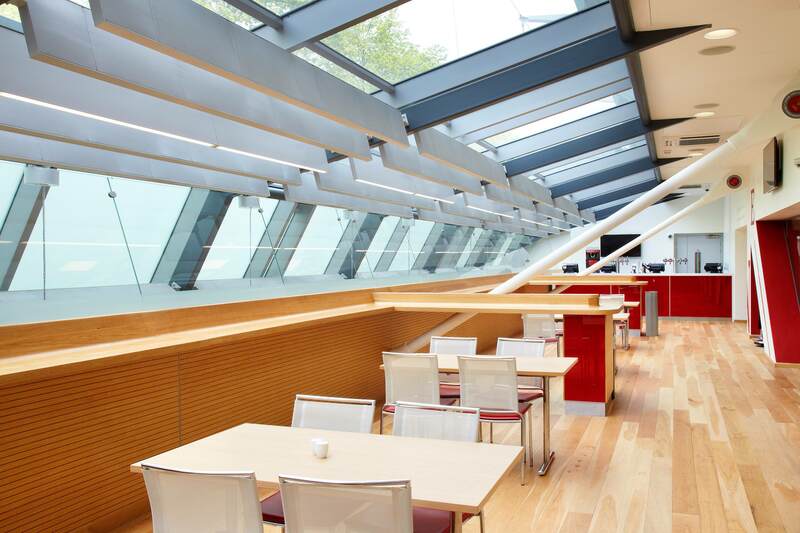 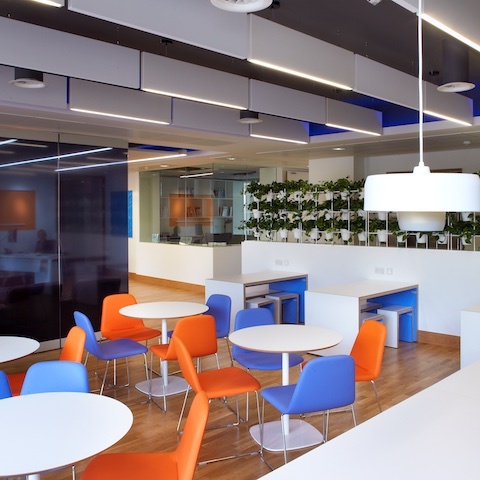 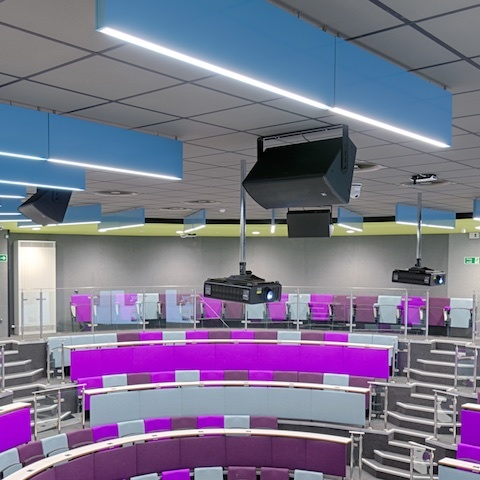 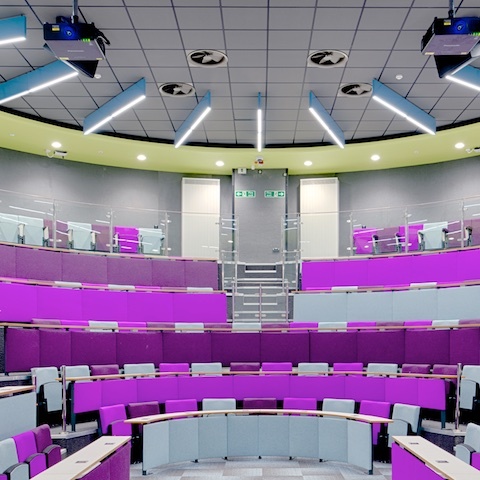 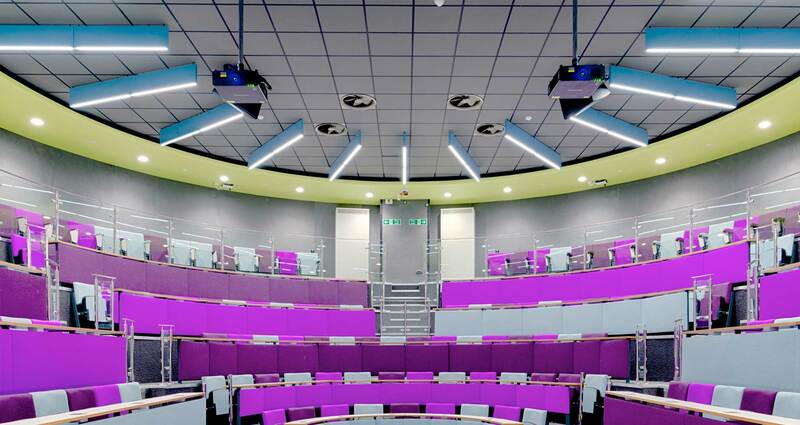 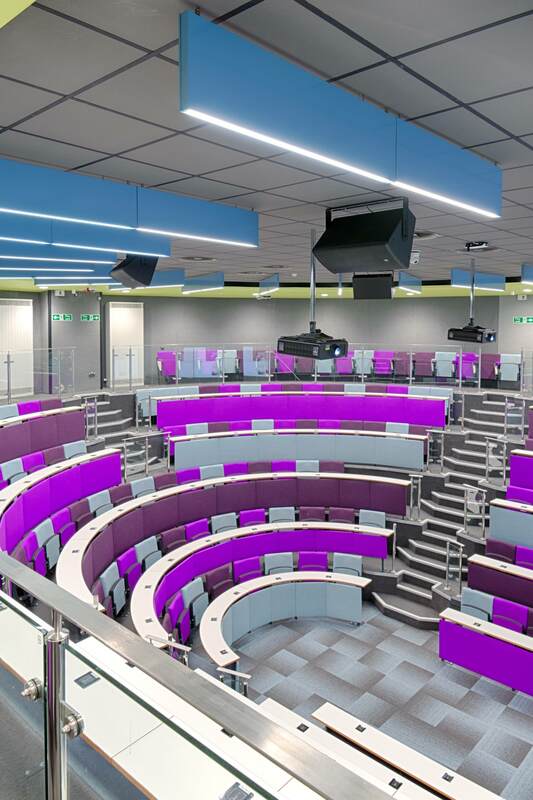 The blade system is available in any RAL colour, both luminaires and acoustic panels, to match your colour scheme. 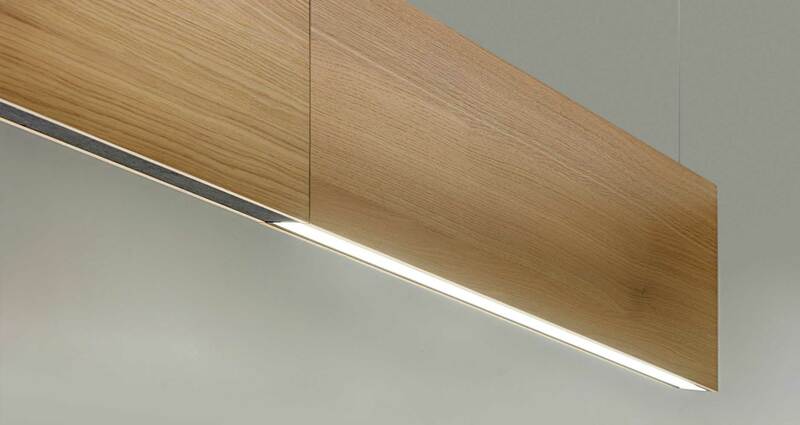 Other more unusual finishes can be specified like wood, or wallpaper!